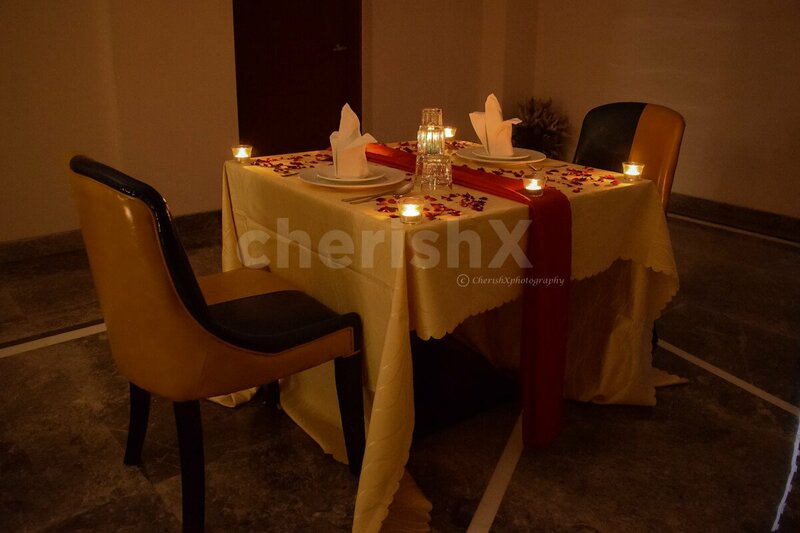 Head for a romantic lunch/ dinner along with your beloved . 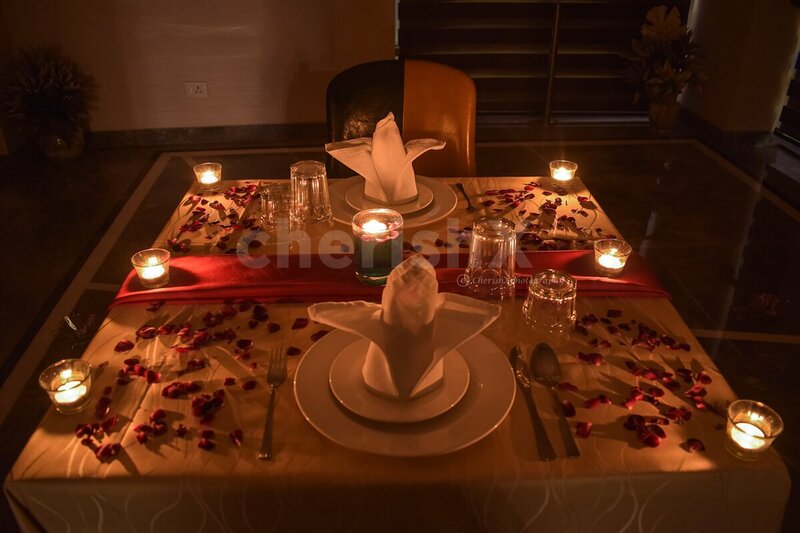 Perfect destination for a romantic meal is this sophisticated place in Delhi.It's all about great ambiance, delicious food, premium quality service & good times of togetherness. 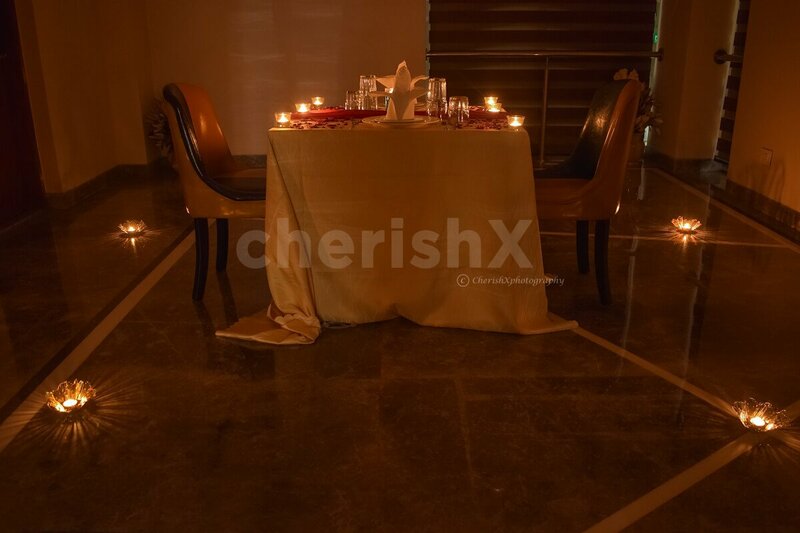 Book an experience with CherishX ASAP to get acquainted with a mind boggling experience. 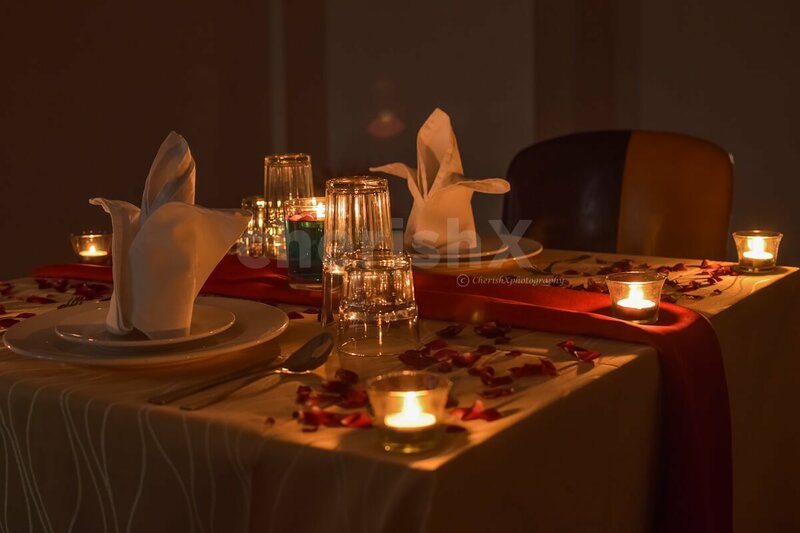 Is your partner always complaining to you that you don't take them out for romantic dates? Then grab this golden chance to prove them all wrong. A sinful 3-course meal (multi-cuisine menu) consisting of starters, mains, breads & desserts. The venue is a luxurious hotel in Delhi that speaks of elegance, premium quality services, humble staff & good food.While you are busy talking to each other, enjoy the tangy mocktails along. Table for the love struck hearts is adorned with candles and rose petals. 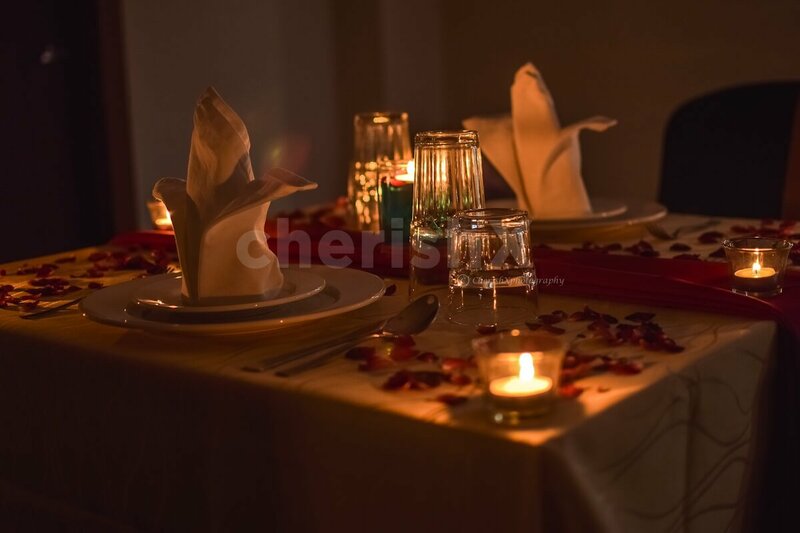 The dim candles sets the romance alive. And not to forget romantic music in the backdrop. Parking is not a problem at the location. Arrange a pickup & drop for bae to make her feel loved. Gift her a bouquet of fresh & fragrant roses to leave a permanent mark of love on her heart. 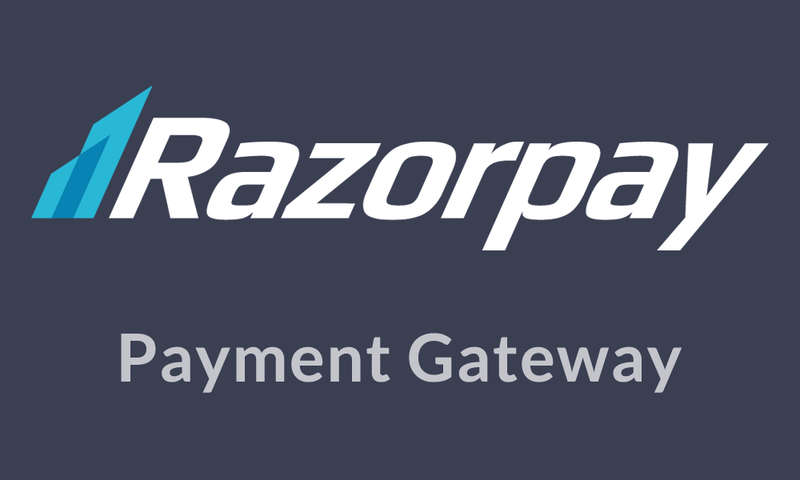 Do check customisations for same. We have limited slots available for the experience, make a booking now.